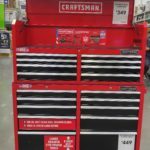 Soon after SBD bought Craftsman we knew that Lowe’s would be carrying the new SBD made Craftsman tools and indeed they did as they’ve had new Craftsman branded products pop up in the Lowe’s stores with items such as steel tool boxes and lights. 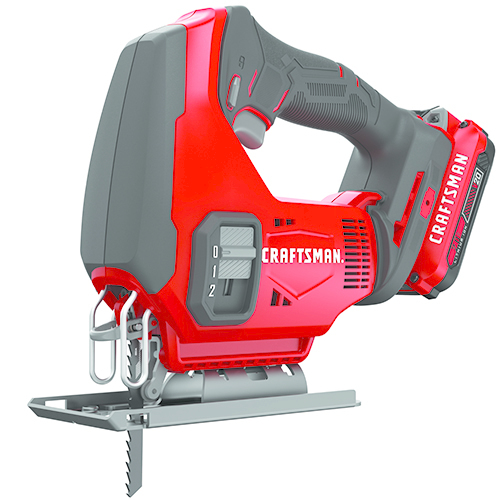 Now we have learned that the SBD made Craftsman brand is launching an all new 20 volt cordless power tool line called Craftsman V20. At first glance I thought the above picture was the entire lineup as that’s all they have at the Lowe’s website regarding the new V20 line however I dug deeper in the internets and found out that they have more tools planned to launch in the near future. 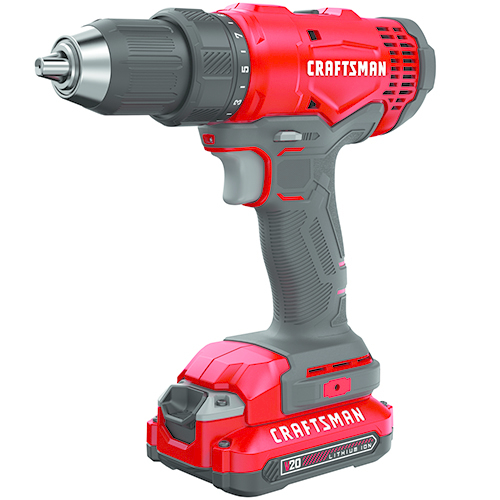 So on top of the above pictured 20V drill/driver, impact driver, 6-1/2″ circular saw, reciprocating saw, orbital sander, jigsaw, oscillating multitool and flashlight, they will also have a cordless V20 brushless hammer drill, a cordless V20 brushed motor hammer drill, V20 bluetooth speaker, V20 inflator, V20 7-1/4″ sliding miter saw, a 20V cordless 2 gallon wet/dry vac, V20 cordless 4-1/2″ angle grinder, 1/2″ cordless impact wrench, a couple of cordless nailers in 18ga & 16ga flavors and several cordless lights that include LED handheld light and small area light plus the above pictured light which is called a task light. 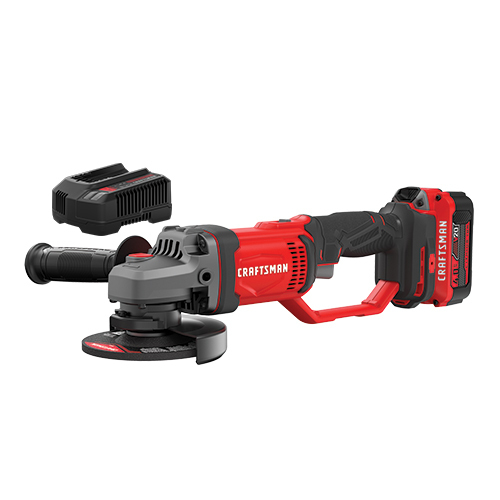 From what we can see, the new Craftsman line is priced below what similar Dewalt 20V cordless go for and actually are priced closer to Porter Cable’s 20V line up. This is no coincidence since the parent company Stanley Black & Decker owns and makes the 20V Cordless Porter Cable tools. 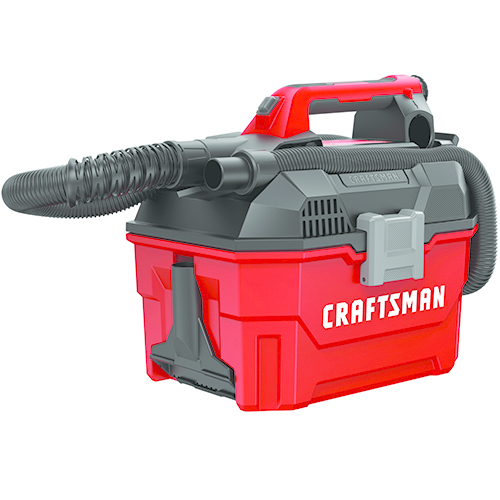 In fact the Craftsman branded V20 cordless nailers, 2 gallon vac, angle grinder and impact wrench look very similar in overall shape to their Porter Cable 20V counterparts. I wonder how much internals they share. 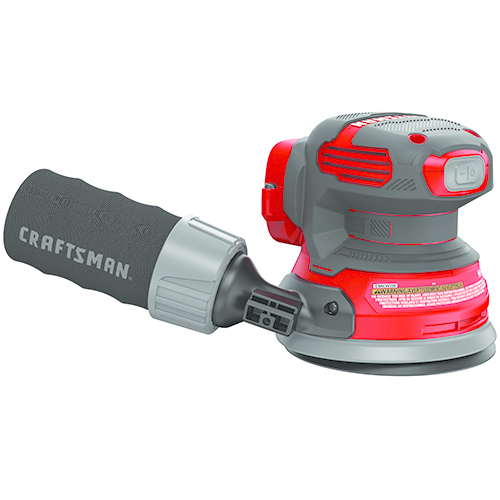 Even the new Craftsman V20 orbital sander looks very similar to the Dewalt/Porter Cable/Black & Decker 20V variants. 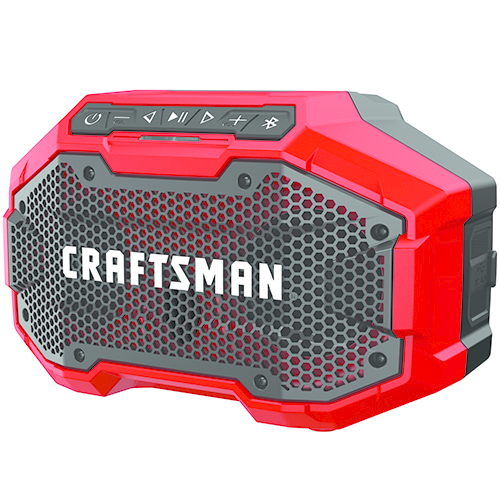 I believe the new Craftsman V20 line looks promising because the price is appealing and they have a nice line up at launch. 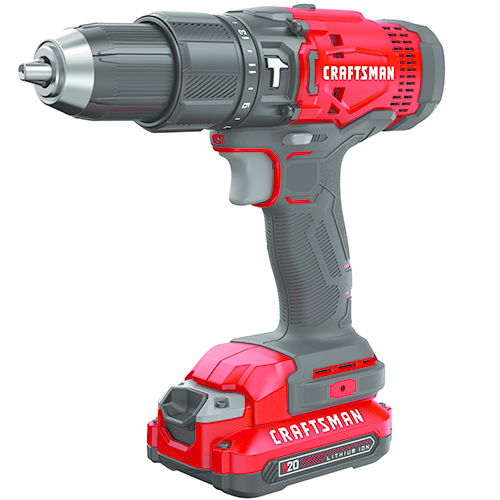 The tools are budget to mid-range tools depending on the models and even offer two sets of drill/drivers and impact drivers to appeal to different budgets. 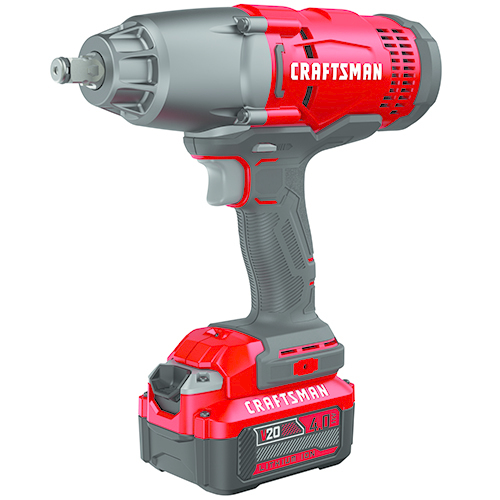 They have the budget drill/driver and impact driver both reasonably affordable with a low $79 for the budget brushed motor drill kit with one 1.3ah lithium ion battery, charger and tool bag and the budget brushed motor impact driver kit comes out at $129 for the same single 1.3ah battery, charger and bag kit. I also want to mention the budget brushed motor impact driver is super long at a drill like 7.01 inches in length! 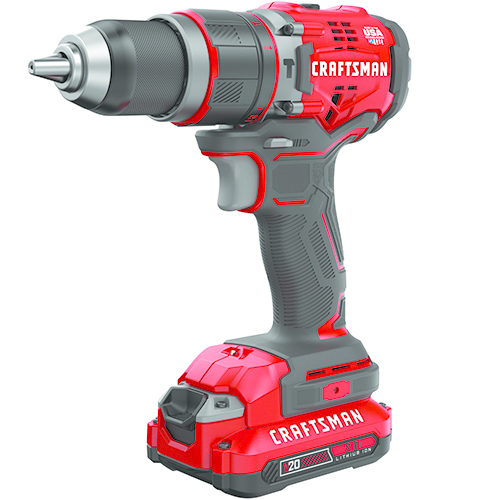 If you want a better impact driver and or drill, they offer brushless models of each with very good specs and features besides the brushless motor. For example the brushless drill kit has a bit more power and comes in a very compact 7.2 inches in length with Dewalt’s 400 UWO torque rating, up from the 280 UWO on the budget V2o drill. 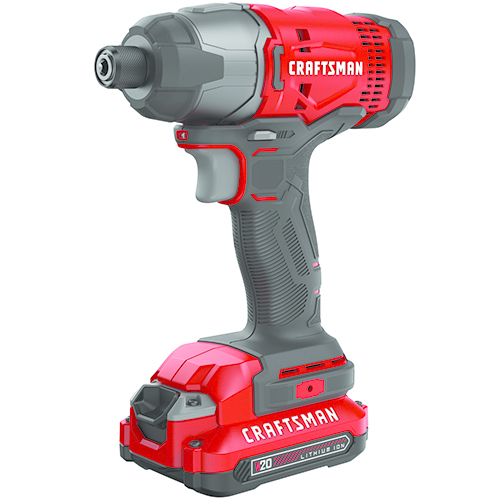 The brushless drill also offers a metal ratcheting chuck which makes the quality better. 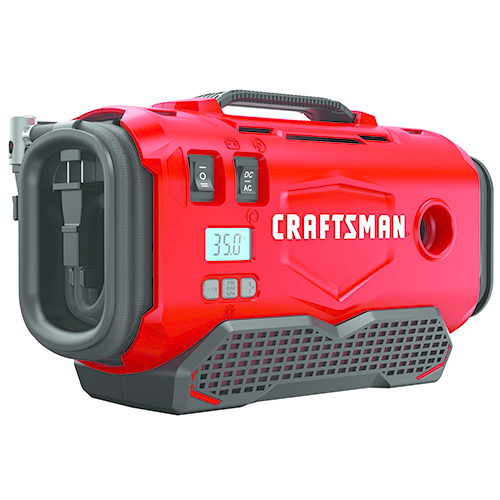 Of course pricing goes up at $159 in a kit but you get two batteries and both are 2ah capacity. 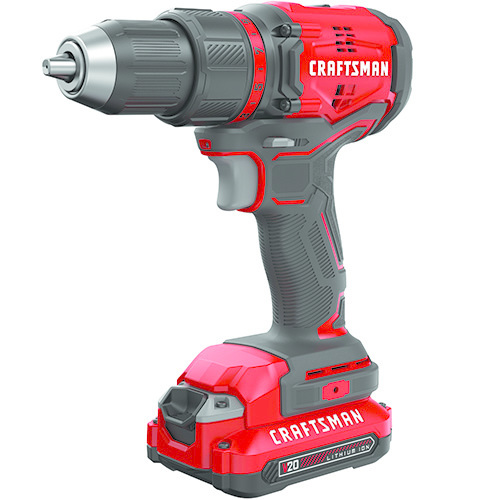 The brushless impact driver comes out with more power than the brushed motor model at 1,700 in-lbs torque and not only is it much shorter in length at a respectable 5.51″ in length, but it also offers 3 speeds. 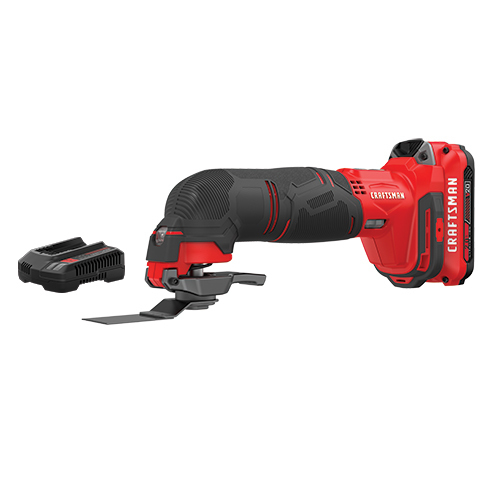 Pricing for the brushless impact driver is $169 in kit form and also comes with two 2ah batteries, charger and tool bag. 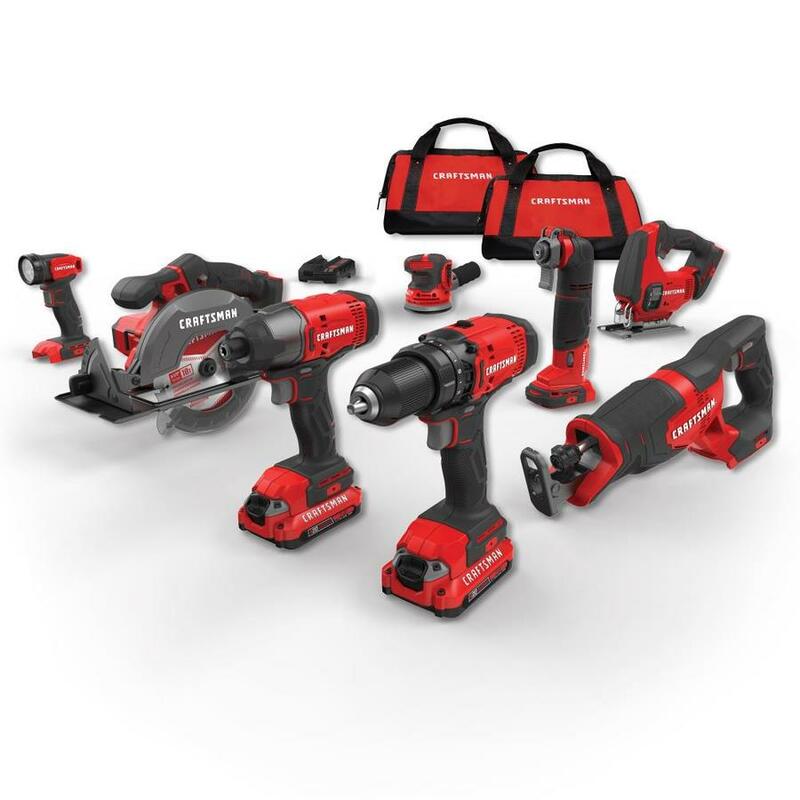 They also sell 2, 4, 6 and 8 tool combo kits with a 2 tool brushed drill and impact combo kit for $149 with two batteries both at 2ah, charger and tool bag. 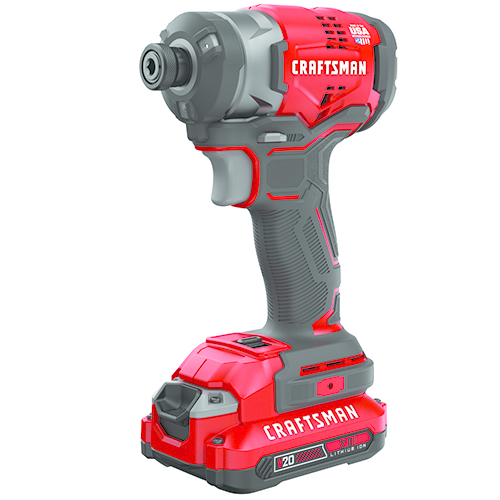 This makes me wonder why anyone would buy the brushed motor budget impact driver kit with only one smaller battery for $129 when you can get the 2 tool combo kit with 2 upgraded batteries for only $20 more? Anyhow, their 8 tool combo kit is priced at $449. I also want to mention that the 2ah lithium batteries have a fuel gauge on the back which is nice and should be standard in 2018, however I’m not sure if the 1.3ah batteries have a fuel gauge. Something tells me they wont due to their budget nature but would be nice if they do. I also want to mention that the supplied chargers charge either battery in 60 minutes which isn’t the fastest by any means but isn’t the worst either. They will also sell a larger 4ah fatpack battery and a fast charger that is said to charge the 4ah battery in 60 minutes. Also, a big thanks to Cody Robertson for sharing the info with us! 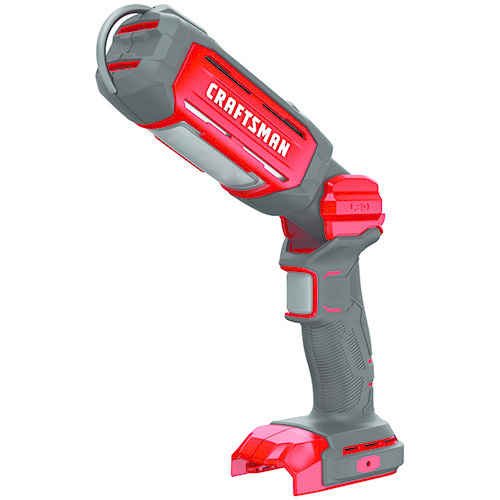 Below you will find each new Craftsman V20 cordless power tool mentioned above with picture and a quick specs list. 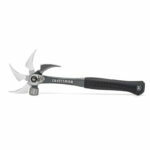 They will also have a couple of V20 chainsaws, a V20 22″ hedge trimmer and a V20 string trimmer although I do not have pictures or stats for these yet. 7-1/4in. 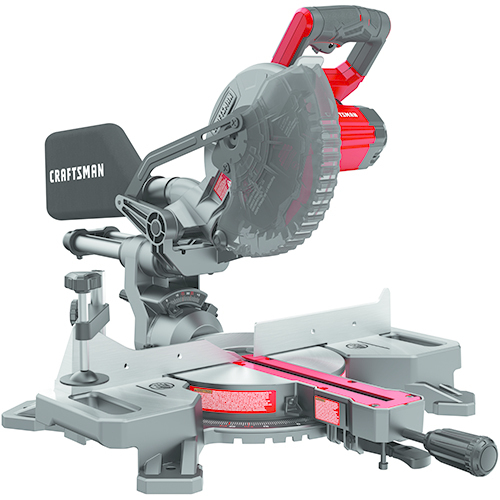 20V MAX* Miter Saw has a powerful 3,600 RPM motor for cutting 2x and hardwoods with ease. Slide capacity allows for 8” cross cut at 90 degrees and 5.5” cross cut at 45 degrees. 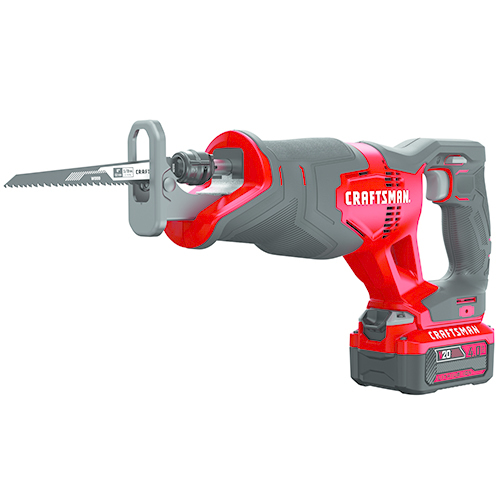 Capacity to cut 3-5/8”nested crown and 3-1/2” baseboard vertically. 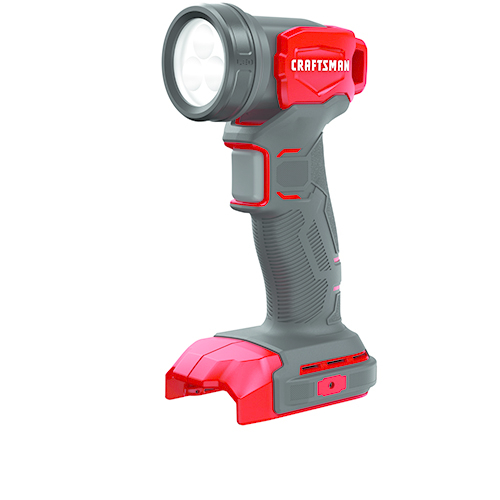 LED cut line positioning system for better accuracy and visibility. Single bevel up to 48 deg. 9 casted miter detent stops for quick and accurate adjustments. 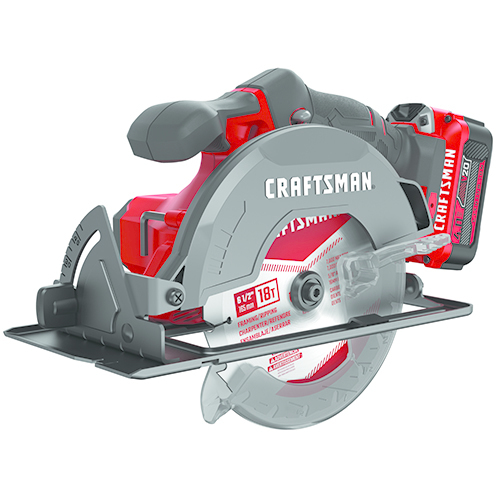 Looks like a good start for the new Craftsman line, was hopeing the miter saw was duel bevel but not a huge deal. 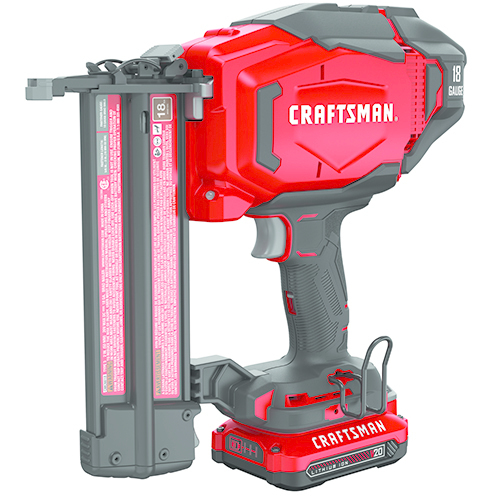 And hopefully they plan on releasing larger a.h. batteries in the future for tools like the vacuum and miter saw. The inflator and cordless vacuum are appealing but I’ve got the Ryobi versions now. 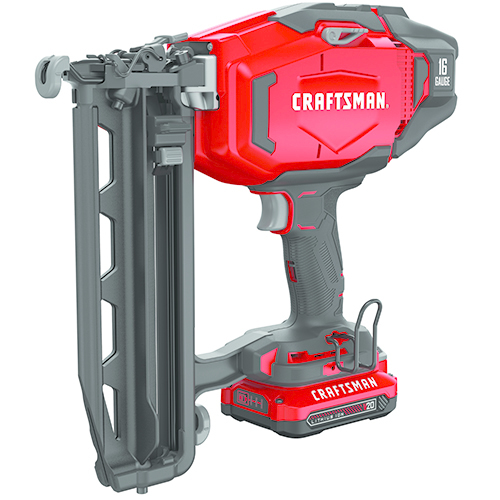 I am more interested in if SBD will improve the quality of the Craftsman hand tools. Same here. Already invested in Ridgid and Ryobi for the tools ridgid does not carry. Any word if the batteries are interchangeable with PC or B&D (albeit minor modification may be necessary)? General rule of thumb is that cross compatibility doesn’t work. You’re welcome to try and find out at your own risk, just remember you void the warranty by filing away any plastic notches and tabs near the battery contacts. Don’t care for the lighter, brighter red cases on these. It’s drifting towards my main gripe with Ryobi’s toy-like lime/whatever color, at least at their respective price points. 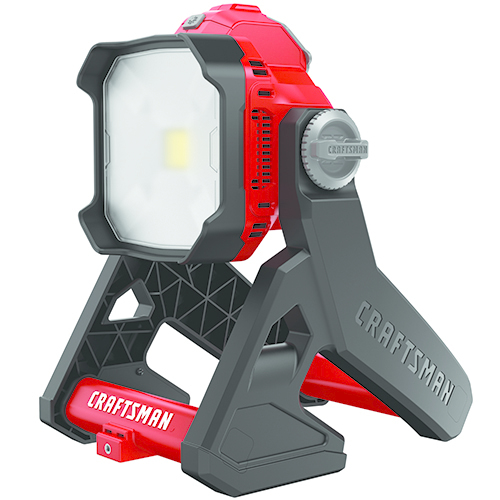 It’s simply NOT Craftsman-Red.